Adam and I have made it a little bit of a tradition now to hit the beach on Sundays. It is only 7 subway stops away. 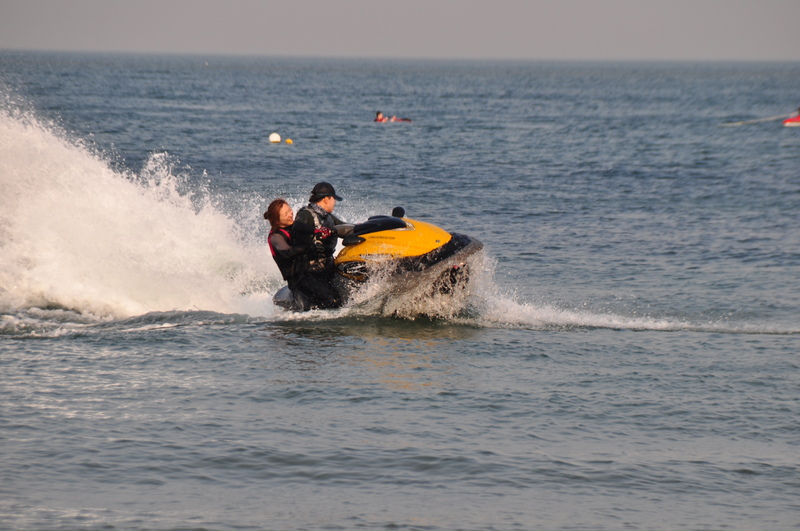 While we immediately throw down our towels directly on the sand, not under an umbrella, take off our clothes and totally sport bathing suits… Most Koreans at the beach enjoy the beach in other ways. Of course there are some in bathing suits, but the number is nowhere near the number in clothes. There is so much to see along the beach. Adam thought this car was the coolest. 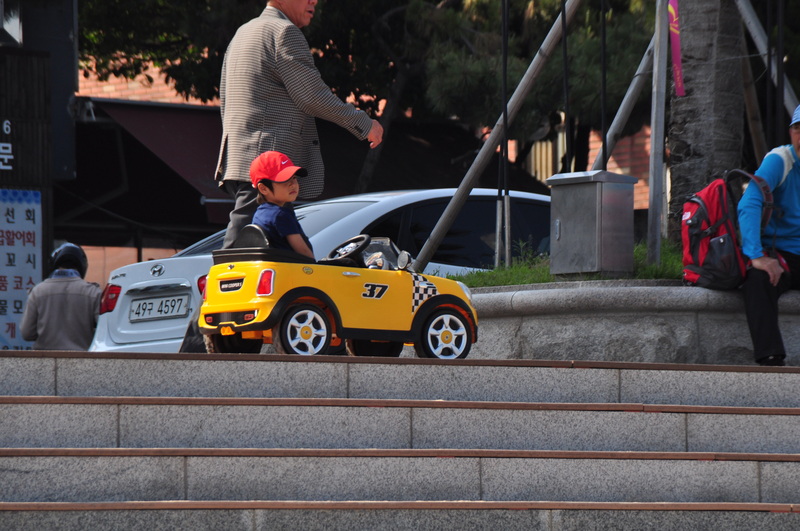 It is a remote control car that the dad held and the little boy just “drove” along. Collecting seaweed and burying yourself in the sand is what most of the kids do. This past weekend however, there were a ton playing in the water. 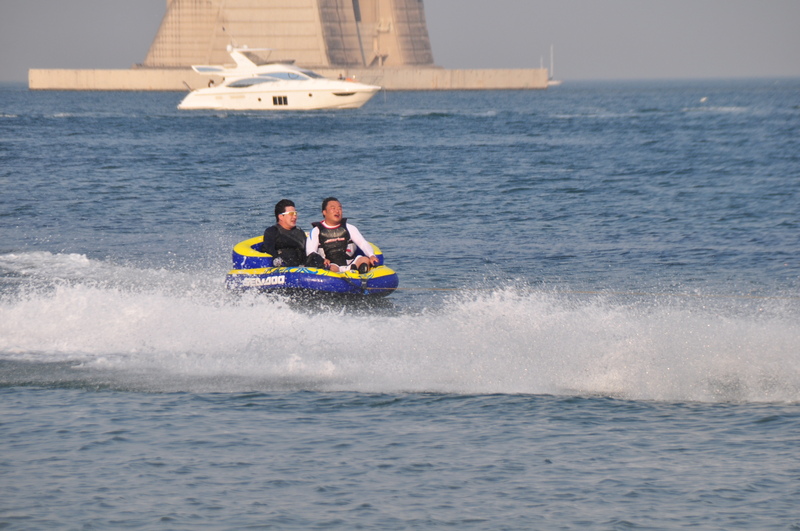 Boats, jetskiis, sail boats, paddle boarders, wake boarders….it is all going down in the small inlet of Gwangalli. By far the cutest part is spotting theses two. They arrive on a scooter with their owner and then walk along the beach. The little dog is connected to the bigger one by a little leash and he pulls him along. 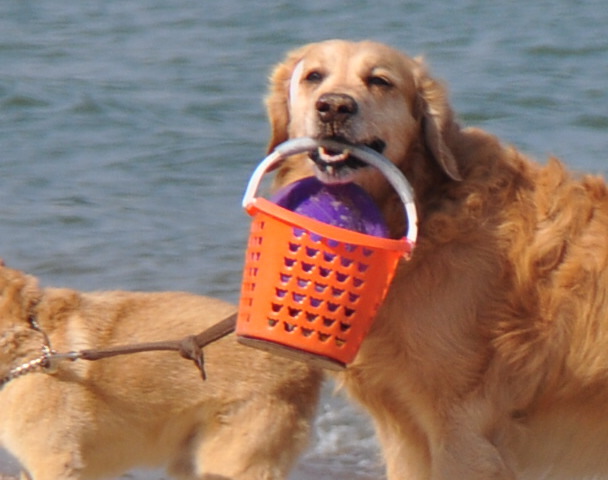 The golden puts down his basket and then picks it back up. They are super cute. There is a third little dog that follows them along but he must not have passed the cool enough test to join the strut of these two. So, while I try to zone out in my book, I have a hard time being distracted by all the sites. Previous Pink… Nylon? Victorias Secret?